Sony, Paramount Pictures, Spike Lee; for aspiring marketing professionals these are dream clients but for 135th Street Agency founder Shante Bacon, it’s just another day at work. 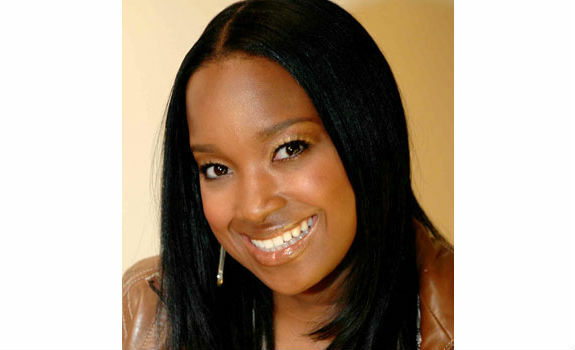 After graduating Hampton University in 1998, the Queens native started her first job in marketing at Def Jam records. Seven years later, Bacon opened her own communications and marketing firm and her small but dynamic team has successfully worked on high-profile projects that rival large firms. So successful is her svelte shop that The Network Journal celebrated Bacon as one of their 40 Under 40 award recipients. The winner chatted with Parlour about being honored and the challenges and rewards of running her own business. Parlour: Congratulations, what were you thinking when you accepted your award? Shante Bacon: I was beyond excited and grateful. When you own your own company, you work hard to build something from nothing. It’s rare that small agencies win awards when you’re competing with huge PR firms but the award was more about my own professional career accomplishment. I was at Def Jam for eight years and there was no award for a music industry executive that worked really hard. What did you learn from working at Def Jam? Graduating from undergrad and joining Def Jam was like getting a master’s degree in entertainment. The expectations were high but the executives there at the time were the best teachers. Every single lesson I learned comes into play when I’m bidding for big projects like Disney, Sony and Paramount Pictures. What challenges have you experienced building the 135th Street Agency? Finding people that are as passionate about my company as I am. If they’re not, because we’re so small, it can impact the productivity and culture of the business immediately. We’re not Def Jam or Edelman, in a small company a person not pulling their weight makes everyone else’s load heavier. What are your best and worst client experiences? My best client experience is happening right now, working on Spike Lee’s independent film Red Hook Summer. He’s a decision maker and what I’ve learned from him is amazing. You’re never going to catch him slacking. He’s 20 years older than me but he’s up at the crack of dawn and works without getting tired. The worst clients are ones that pay you to do a job but they are the biggest obstacle. She seems like a positive driven person. I wish her continued sucess. I have long been inspired by such success stories. I’m thinking to start my own business. I, was faced with the problem – where to get the money? Found this proposition http://www.mybusinesscreditlines.com I want to open a beauty salon for women.